Three Talwar-type frigates were built by Baltiysky Zavod in St Petersburg and delivered to the Indian Navy in 2003–2004. Cooperation between the Russian and Indian navies has been developing successfully for more than half a century now. The Indian Navy was originally established and developed according to the British model. During the 1960s, India started purchasing combat vessels and navy armaments from the Soviet Union, gaining access to what was then cutting-edge military technology. Many of the vessels India is building itself have been designed with Russian input and are fitted with Russian-made equipment and armaments. According to Ruslan Pukhov, the director of prominent Russian think tank AST, it was only thanks to Russia that India has been able to gain access to unique technologies and opportunities such as building nuclear submarines and supersonic anti-ship missiles. Mr Pukhov believes that no other country would have granted India anything similar. The high point of its cooperation with Moscow was India’s lease in January of 1988 of a Soviet nuclear submarine code-named Project 670 (to be more exact, of its “export” version, Project 06709). The submarine, renamed Chakra, was armed with the powerful Ametist anti-ship missiles. Although the submarine had to be returned to the USSR for political reasons just three years later, its operation has given Indian Navy commanders a first-hand idea of the important combat role nuclear submarines get to play. It has been reported that India is carrying out, with assistance from Russian experts, a programme to create a nuclear submarine fleet of its own. A $1 billion contract was signed in 1997 for the building in Russia of three frigates custom-designed for India, code-named Project 11356. Remarkably, Russia was exporting more advanced vessels than it was building for its own navy. 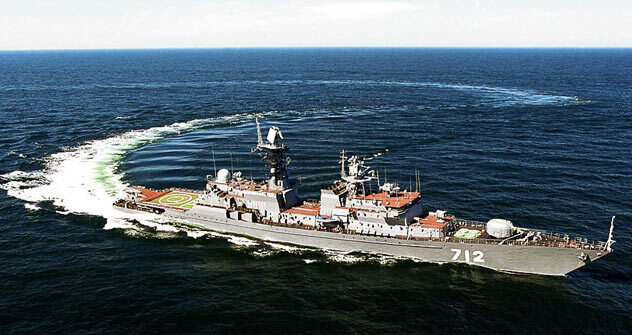 Three Talwar-type frigates were built by Baltiysky Zavod in St Petersburg and delivered to the Indian Navy in 2003–2004. According to MoscowDefenseBrief Editor Mikhail Barabanov, the expert community has recognised those frigates as some of the world’s most advanced and powerful in their class. In 2006, India signed yet another contract for $1.56 billion to build three more modified 11356М frigates to be delivered in 2011­–2012. These vessels will be equipped, among other things, with the BrahMos missile complex. A future Indian order for three more 11356М vessels has not been ruled out. The history of cooperation with India on nuclear submarines, begun with the Chakra lease, lived on with a 2000 agreement for a long-term lease of the K-152 Nerpa third-generation multi-purpose nuclear submarine (order 518, developed by SPMBM Malakhit). At the time the agreement was being signed, the Nerpa was 86.5% technically ready. It was envisaged that a second submarine of the same type, built by the same company (order 519, around 60% ready), would be completed and leased to India subsequently. The final contract was signed in 2005. The total value of the agreement with India for the completion and lease of the two nuclear submarines is estimated at $1.8 billion, including $650m for the Nerpa contract. The Nerpa has been undergoing running tests since 2008, and is expected to be delivered to the Indian side in the spring of 2011. It will get the same name, Chakra, once commissioned by the Indian Navy. This year will likely see the completion of the second submarine for India be resumed. Russia is assisting India in its ATV programme to design and build its own nuclear submarine. The first Indian nuclear submarine, the Arihant, was launched in 2009, and India’s Prime Minister Manmohan Singh at the time directly thanked “the Russian friends” for their assistance. The submarine is now undergoing completion and testing. Experts firmly believe that there is a huge potential for the development and deepening of bilateral naval cooperation in many areas. For example, Russia is taking part in the Indian Navy’s tender for the building of seven new-generation Project 17A frigates (one vessel is supposed to be built at a foreign shipyard, with the remaining six to be built by Indian companies under license.) Russia has offered six Project 677 (Amur-1650) diesel-powered submarines armed with the BrahMos missile complex for the new Indian tender (to be build under license in India). It looks like joint Russian-Indian navy-related projects will also gain momentum.